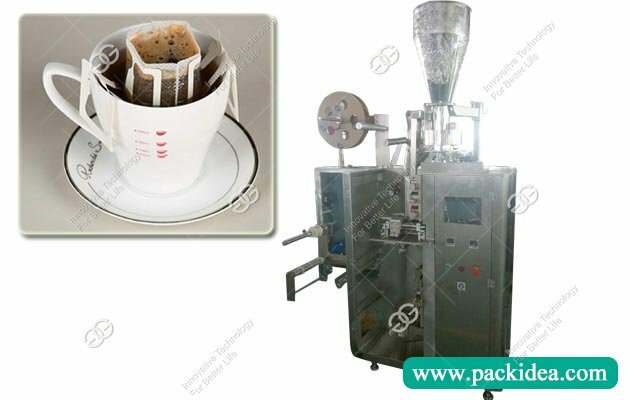 Application: This machine is used to make drip coffee bag with hanging ear. 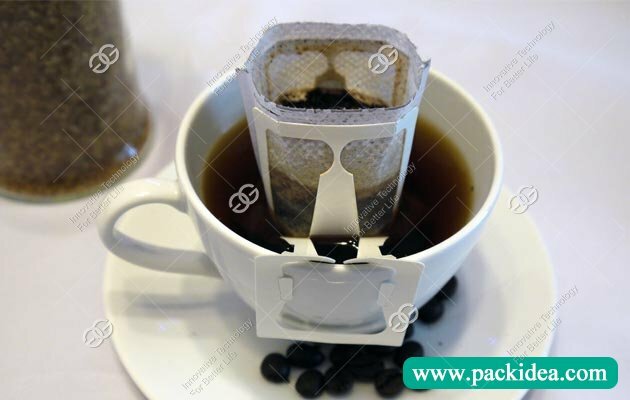 Hanging Ear/Drip Coffee Packing Machine With Inner Bag And Envelope adopt particular hanging type filter, 3 sides sealing, direct hangs on the edge of the cup. Better tea brewing taste and beautiful bag shape make it very popular at abroad market. 1. The machine can automatically complete bag making, measuring, filling, sealing, cutting, counting, printing batch number. 2. Use sophisticated control system to adjust machine movements, compact structure and human computer interface design lead to convenient operation, easy adjustment and maintenance. 4. Inner bag uses servo motor to make positioning bag length accurate and stable. Outer bag adopts photoelectric sensor orientation and stepping membrane so that bag length more accurate and artistic. 5. Inner bag is non-woven filter bag with hanging ears, which is convenient and healthy. Sealing adopts advanced ultrasonic sealing, making great sealing effect and beautiful pocket. 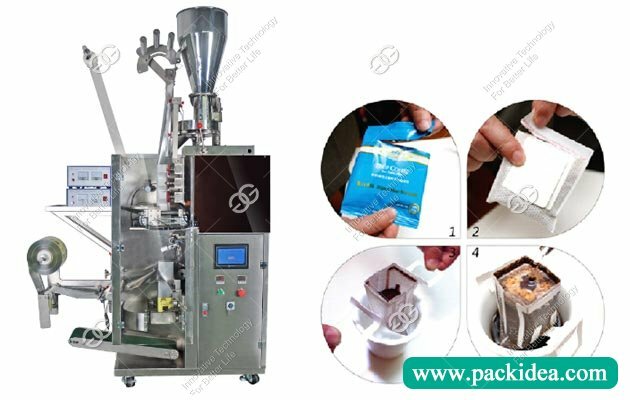 This machine is a new type of heat sealing type, multifunctional automatic packing equipment. The main feature of this machine is inner and outer bag finished at one time, to avoid direct contact with the product, improve the efficiency. Inner bag is filter paper that special for ear-hanging coffee. The biggest advantage is labeling and outer bag can adopt he photoelectric positioning, packaging capacity, inner bag and outer bag can be adjusted easily. According to the different needs of the user to adjust the size of inner and outer bag, to achieve the perfect package effect, improve the appearance of the product grade, make the product value promotion. Packing material:paper/plastic, plastic/plastic, plastic/aluminum/plastic, aluminum/plastic/paper, filter paper.